There’s a lovely moment in Won’t You Be My Neighbor?—the HBO documentary on the late Fred Rogers—that discusses the importance of creating quiet spaces. A peeler slowly works its way around an apple; Rogers sets an egg timer to show the actual length of a minute. It’s meant to reject the loud, crude mass media aimed at children in television’s early days, but it also echoes the overstimulation with which many of us live, work and eat now, thanks to a certain device we keep glued to our sides. But from the moment I entered Kumiko’s plant-filled foyer to a welcome cup of cinnamon chai tea, a sense of meditative calm washed over me. 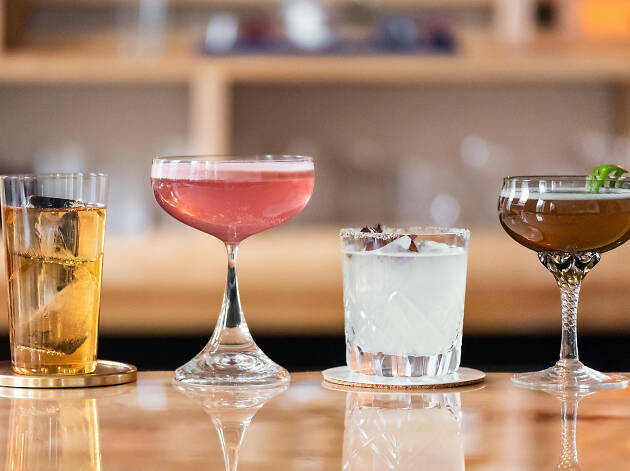 This Japanese-inspired cocktail bar and restaurant from Julia Momose (GreenRiver), Cara and Noah Sandoval and chef de cuisine Mariya Russell (all Oriole), is one of measured pace and care. 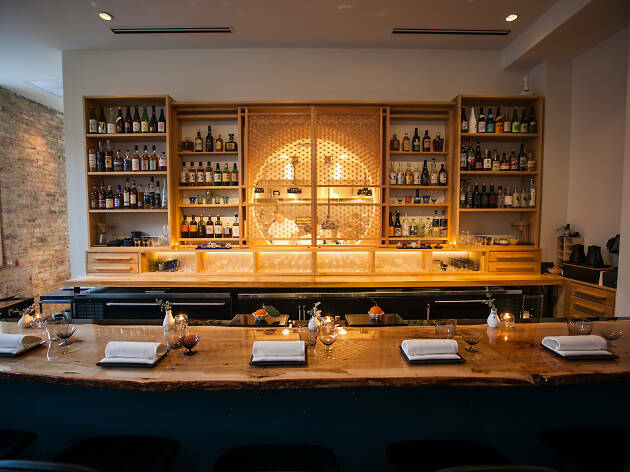 Kumiko’s eight-seat omakase bar lends a peek into the humming kitchen through an intricately carved wood shade that acts as a focal point of the restaurant. My date and I had booked our barstools about a month in advance for the $130 omakase experience, in which Momose and her skilled team pair a series of fixed Japanese bites with sakes and bespoke cocktails. “Do you tend to go for bright and citrusy? Bitter or savory?” asked our meticulously suited bartender once we were settled. His easy warmth goaded me into oversharing beyond my cocktail preferences in the same way I sometimes psychologically unload on hospitable baristas. A progression of nigiri came first. 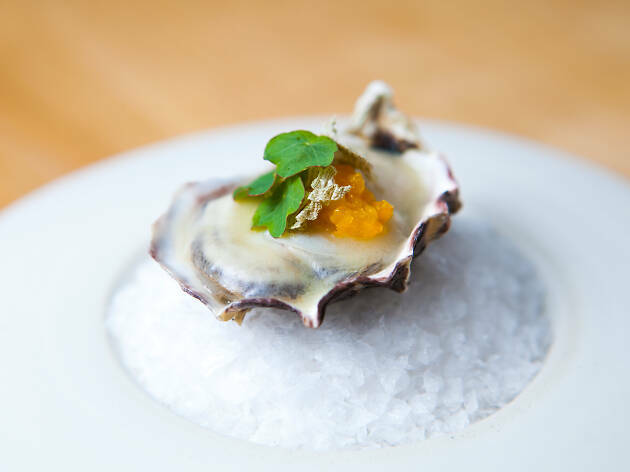 Crispy waifs of bonito capped a savory, textural maki of sea grapes and sturgeon caviar, which burst softly on our tongues like smoke-tinged ocean bubbles. A luscious slab of king salmon topped with puffed salmon skin and roe obscured a perfectly toothsome pillow of rice. What looked like a glistening little brain wrapped in seaweed turned out to be buttery-rich Maine uni, slicked in a BBQ-like glaze of smoked soy and tart yuzu kosho. The accompanying sakes ranged from supple and delicately floral junmai to crisp, dry and nutty futsu shu—all beautiful counterparts to pristine oceanic bites. Still, it’s hard to outshine Momose’s exquisite cocktails. My date sipped a woodsy, citrusy sudachi shochu with tonic, sage and kumquat, while I nursed an elegant blend of mellow aged junmai sake, shiro and apricot eau de vie that tasted like boozy blossoming fruit trees and melted snow. The next courses tugged us between earth and sea. Chawanmushi, a warm, savory egg custard imbued with dashi and mushrooms, had a flan-like silkiness and satisfying umami depth uplifted by pickled radishes and grassy coriander blossoms. A sticky-sweet slick of black garlic molasses lacquered melt-in-the-mouth strips of seared wagyu. My favorite dish by far tasted like sunny, foamy dawn on the beach after a storm. Pristine slices of charred-edge madai nestled with peppery nasturtium leaves atop a kelp-scented sabayon made from whipping eggs with seaweed-infused butter till rich and frothy. 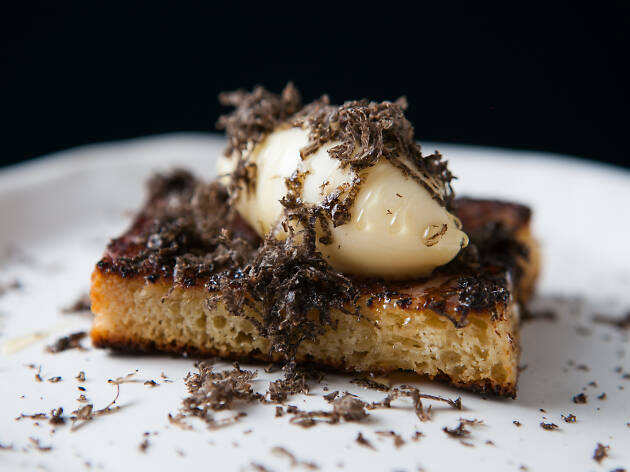 Last to arrive was a diminutive square of caramelized milk toast, which was crowned with a quenelle of fermented honey ice cream and cloud of fragrant white truffle shavings. Sure, I wept after my first bite, which tasted like the sepia-toned Sunday breakfast of my aspirational self’s childhood. 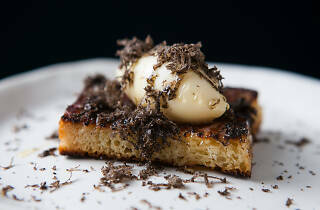 But I might’ve loved the toast’s precious “Hot Chocolate” partner even more. Crafted with cocoa-scented bierschnaps from Rhine Hall Distillery, barley shochu and creme de cacao, the small sipper is the perfect distillation of roasty-sweet hot chocolate. Back in the foyer awaiting our coats, we marveled at how pleasantly satiated and lucid we felt after so many courses. Not 20 minutes later, as I stood at the counter guiltily snacking on tortilla chips and mindlessly scrolling through Instagram, I got a text from my date, admitting that she, too, had needed a snack when she got home. Looks like we left our mindful restraint at Kumiko. 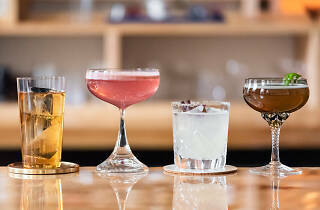 Atmosphere: This West Loop cocktail bar from Team Oriole raises the bar on fine dining and delivers a superb lineup of sake- and shochu-centric sips and delicate bites imbued with Japanese flavors. 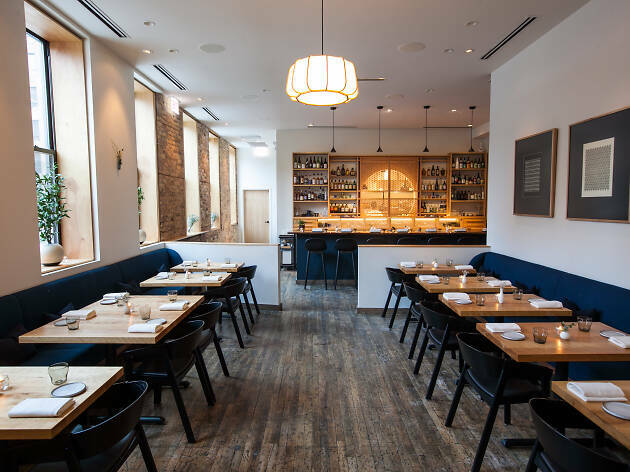 What to eat: The dining room offers a la carte shareables, like chef de cuisine Mariya Russell’s craveable reprisal of Oriole’s tempura prawn with head mayonnaise, and the nostalgic milk toast. The beautifully fleeting omakase menu is pricey for the portion sizes, but makes up for it on the drink side. 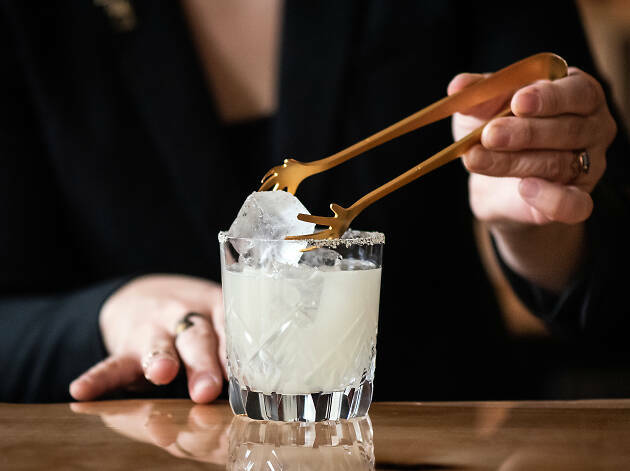 What to drink: Sake and shochu cocktails and low- or no-proof sips headline Julia Momose’s imaginative menu. Or ask for a recommendation on sake, which harmonizes beautifully with the refined, umami-rich fare. 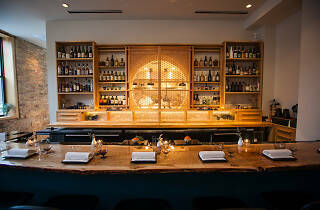 Where to sit: Plan ahead to nab one of eight seats at the omakase counter. 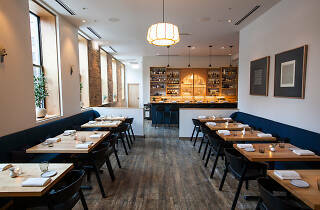 Easier to come by are seats in the handsome dining room.